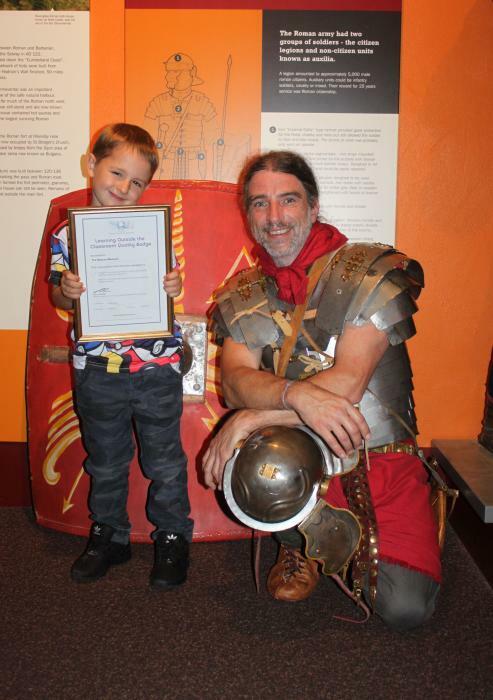 A PRESTIGIOUS qualification has been awarded to The Beacon Museum for its educational activities programme, bringing history to life for children across Cumbria and beyond. The Learning Outside the Classroom Quality (LOtC) badge is certified by OFSTED and is the first national accreditation for schools, nurseries and other educational establishments which recognises and supports the development of learning outside the classroom across all subject areas. Alan Gillon, Learning and Engagement Officer at The Beacon Museum, Whitehaven has worked tirelessly to deliver innovative sessions for both schools and extra-curricular programmes during the past year. Alan said: “We have diversified our learning offering to cover a range of topics. “With our new hoard of Viking silver, local schools have been so enthusiastic to engage with that aspect of our history in recent months, but we do so much more. Mike Starkie, Mayor of Copeland, said: “The newly acquired accreditation is a testament to the hard work and dedication of The Beacon Museum. Nick O’Loughlin, Judging Specialist for OFTED, said: "The Beacon Museum is an excellent provider of learning outside the classroom in the West Cumbria area. “The museum provides various activity sessions centred on aspects of local history, which will add much to the in-class learning of the visiting students. “The Quality Badge means that The Beacon Museum has met the necessary standards showing the provision of high quality learning outside the classroom and visiting teachers and students can be assured of a beneficial experience that will enhance the curriculum. “The museum’s Learning Officer is an enthusiastic proponent of learning outside the classroom and this is seen in the increase in numbers of visiting students to the museum over recent years." Elaine Skates, Chief Executive of CLOtC, said: “I congratulate The Beacon Museum on being awarded the LOtC Quality Badge. Educational visits are among the most memorable experiences in a child’s school life. “The LOtC Quality Badge offers teachers a guarantee that not only is a venue providing the sort of educational value that they can build on in class long after the visit but they also have the appropriate risk management structures in place. For more information on the activities available at The Beacon Museum, owned by Copeland Borough Council, go to www.thebeacon-whitehaven.co.uk  or call 01946 592302.